Our favorite weekend to ski Keystone is closing weekend! There are always so many fun things to do, with concerts, the Slush Cup, fireworks and more! This year we planned a bachelorette party over closing weekend. Our lodging company, SummitCove Lodging suggested making our dinner reservations at the Snake River Saloon and it was perfect! We were impressed with their delicious menu and warm atmosphere. We had the baked brie and escargot for appetizers. The chicken picatta was excellent and so was the prime rib. I had the walleye and it was delicious! Our server was great and definitely played up the bachelorette vibe with speciality cocktails and wine. Then our server told us that the Snake River Saloon had live music that night, as they do every Friday and Saturday during the ski season. After we finished our fantastic dinner we went to the bar area and continued our celebration! We could not have asked for a better environment for a bachelorette party in the mountains. The band was jammin’, we danced the night away and we all had a blast! The best part was that at the end of our crazy night we only had a 5 minute walk back to our condo at Snake River townhomes! The Snake Saloon is a great place to host a large group meal as well such as a family reunion or rehearsal dinner. They offer great food, a nice atmosphere and better prices than many of the other options at the resort. They are always happy to customize your special night and make it memorable! Families are welcome too and they have a special kids menu available, offering something for everyone. The Snake River Saloon will be closing briefly starting April 13 for about 2 weeks for deep cleaning and then will reopen to have their bar and saloon side open during mud season. They will be fully open for the summer season starting Memorial Day Weekend in May. Check out the great events that are happening at Keystone Resort this weekend! Head to Warren Station tonight for the final night of the Winter Comedy Series! Adam Cayton-Holland will be headlining the night, with Christie Buchele opening the night. Adam has toured nationally, recently named one of 25 “comics to watch” by Esquire Magazine. He has appeared on shows like ‘Those Who Can’t’, ‘Conan’ , ‘The Late Late Show’, and more. Opener Christie Buchele is from Denver, CO and performs on the heart-wrenching and hilarious realities of being a woman with a disability. Don’t miss this fun night out at Keystone! Buy tickets today for $17. Doors open at 7pm and the show starts at 7:30 tonight, Friday, January 25. After the comedy show, head over to the Snake River Saloon in Mountain House to catch some live music! The Tyler Glaskow Band will be playing! Expect a small cover charge to enter. Ready to be inspired? The Mountainfilm on Tour is visiting Keystone this weekend, showing inspiring films that were handpicked from the Mountainfilm festival in Telluride, Colorado. These adventure-packed short documentary style films use the power of their art to inspire audiences to create a better world. A presenter will guide the audience through the programming to provide additional insight. There will be two showings at Warren Station, at 3 pm and 7pm, with doors opening 30 minutes prior to showtimes. Cost is $10 for adults and $7 for kids 12 and under. Don’t miss the weekly River Run fireworks show at Keystone! Look up to the sky over River Run on the mountain and watch the Kidtopia fireworks, beginning at 7pm. After the comedy show, head over to the Snake River Saloon in Mountain House to catch some live music! JL Universe will be playing! Expect a small cover charge to enter. There are some great Keystone restaurants that you’ll want to try on your summer vacation. If you don’t want to cook in your condo every night or you are looking for a spot to meet up with friends, there are plenty of options. Perhaps you need a great breakfast before heading out for a day of hiking, biking or boating. Make the most of your relaxing time in the mountains with friends and family and hit up some of these Keystone favorites! Located just off Highway 6 (and right by our office), you can find all of your breakfast favorites in this cozy and comforting cafe. From fresh fruit and yogurt parfaits to hearty omelets, steak and eggs or a classic breakfast, you’ll find what you are looking for to start your day off right. If you’re looking to fill up on delicious Mexican food, Dos Locos is the place for you! At this cantina, you’ll find a full Mexican menu and a lively bar scene. You can also try out Karaoke night on Thursdays! This is a great choice for Happy Hour. Another excellent option for Happy Hour (4-6pm), Tenderfoot Lodge offers 2 for 1 appetizers with the daily drink special. Catch live music on Friday and Saturday nights from 7-10pm beginning on June 11th. This is an absolute favorite in Keystone. An excellent place to grab your morning cup of coffee, the Inxpot also features a variety of teas. As if that weren’t enough, the Inxpot is also a bookstore, a perfect spot to sit down with a friend for a drink, and a great place to grab a breakfast burrito or a sandwich at lunchtime. Snake River Saloon is a long standing hot spot in Keystone. Enjoy the pub or sit down for a full selection of appetizers to pair with your gourmet steak dinner. There is a children’s menu as well if you are planning a family dinner. If you’re out with friends, the Snake has a happy hour that will prove to be irresistible to fans of hot wings and ice cold beer. For a full list of Keystone restaurants, click here. What are some of your favorites? Keystone Restaurant Special – 2 for 1 Deal Tonight! 2 for 1 Dinner at Snake River Saloon and Steakhouse in Keystone – TONIGHT ONLY!! Present the coupon below between 5:30 and 5:55pm tonight and score a free dinner when you go with a friend. After a full day of shredding fresh powder at Keystone you’ll be ready for an early dinner. Make sure you print off a copy of this coupon to bring with you or grab a copy of the Summit Daily where it is featured. Call ahead if you are a group of 8 or more! If you show up before 5:30 you can enjoy Happy Hour prices on your drinks and appetizers too! From 4pm-6pm order Bud for $2, Fat Tire for $3, wings for .25 cents each and $5 Jumbo Margaritas. Don’t forget that PBR is only $1.50 during Happy Hour and homemade sliders are only $1.75! 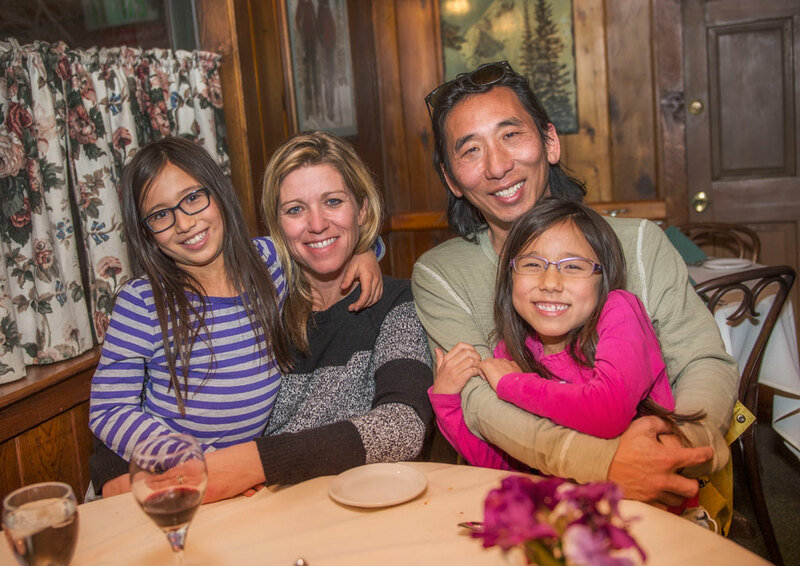 There is no better deal in Keystone for after snow drinking and dining tonight!